Cut off the rough ends of the brussels sprouts and remove the loose outer leaves. Cut the brussels sprouts in half, lengthwise. Toss with olive oil. On a baking sheet, evenly spread the brussels sprouts making sure not to stack them and roast for 25 minutes. 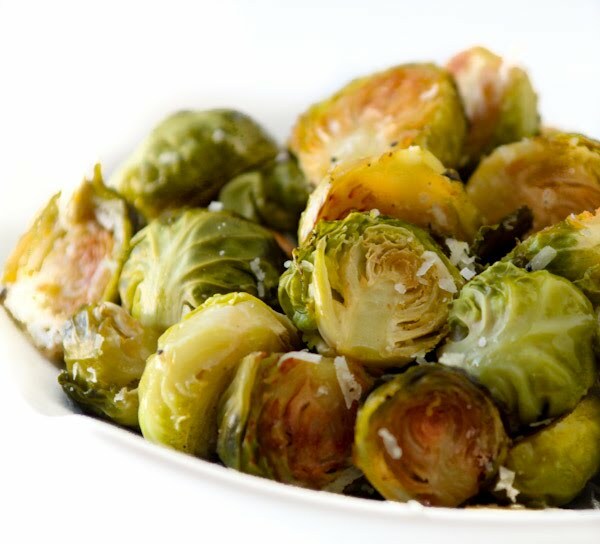 Season the brussels sprouts with lemon zest, salt, pepper, lemon juice and Parmesan cheese.